Customer supplied M35 Double Decal Helmet. 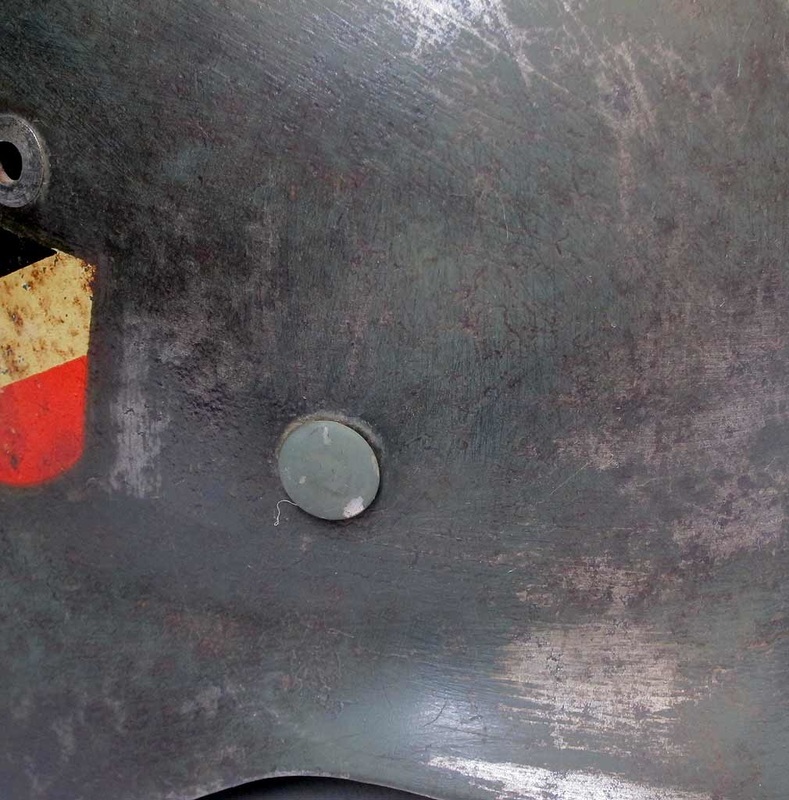 The helmet was originally overpainted and somone has removed the layer of paint and then painted a layer of varnish over the helmet. 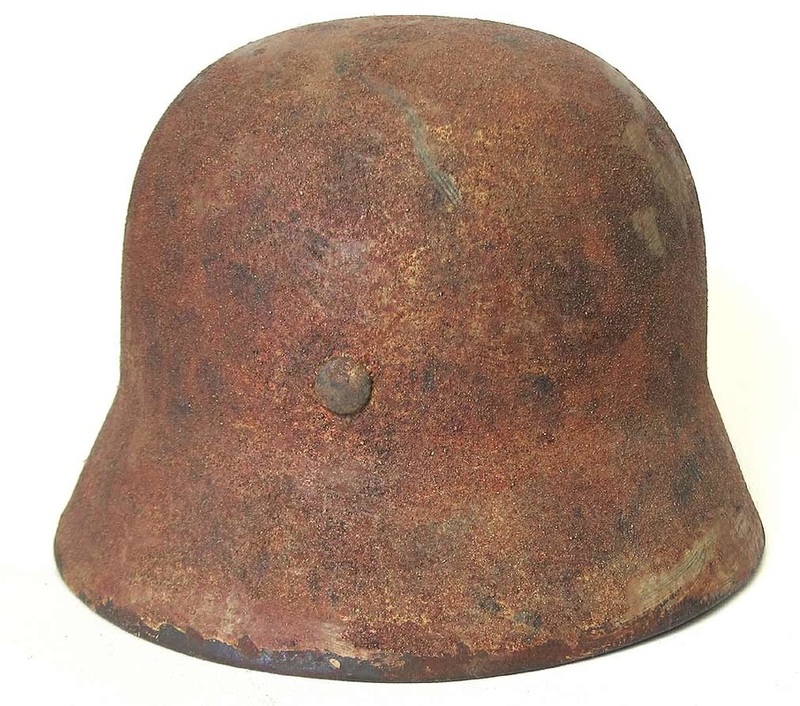 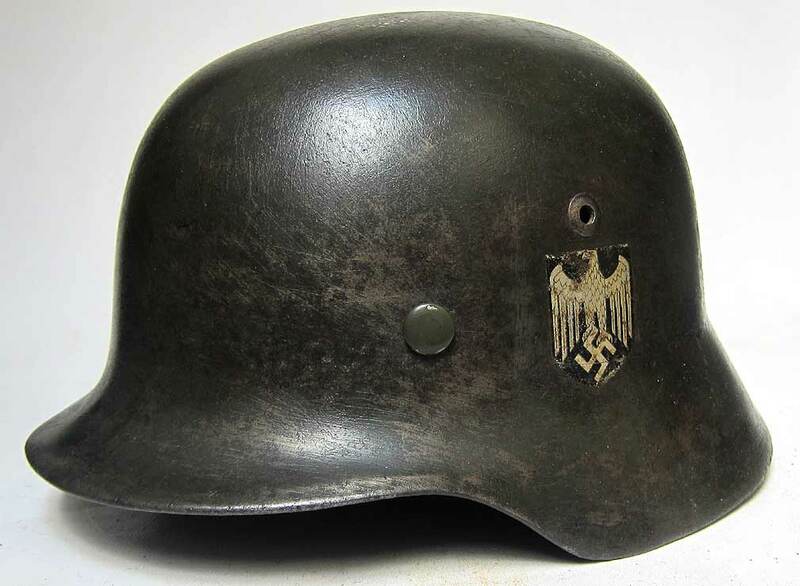 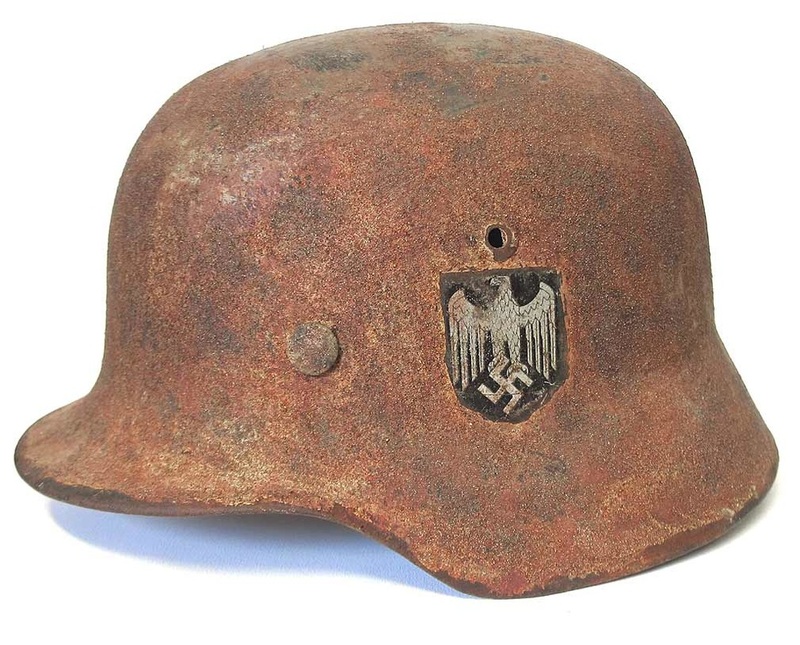 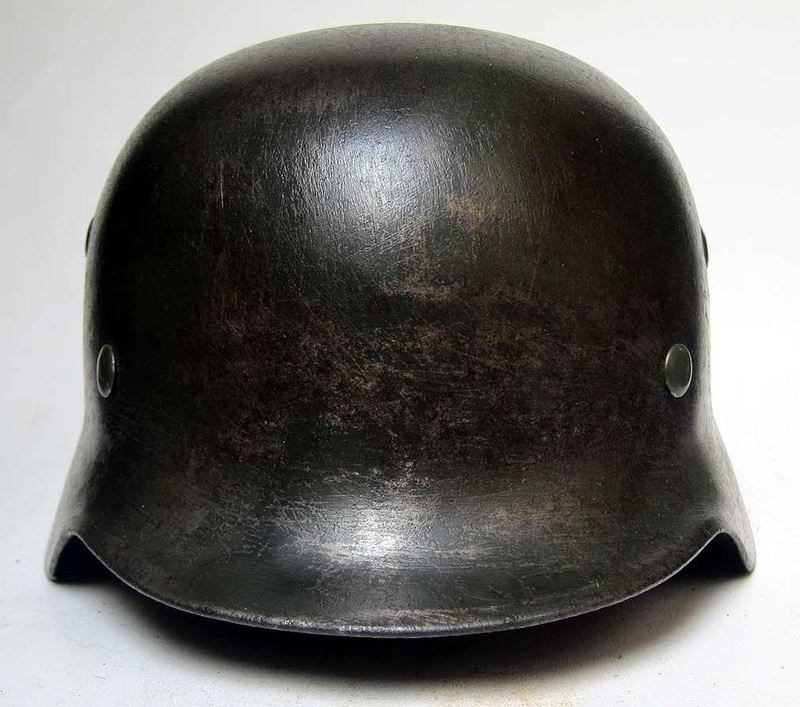 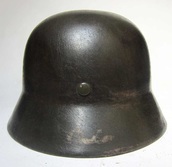 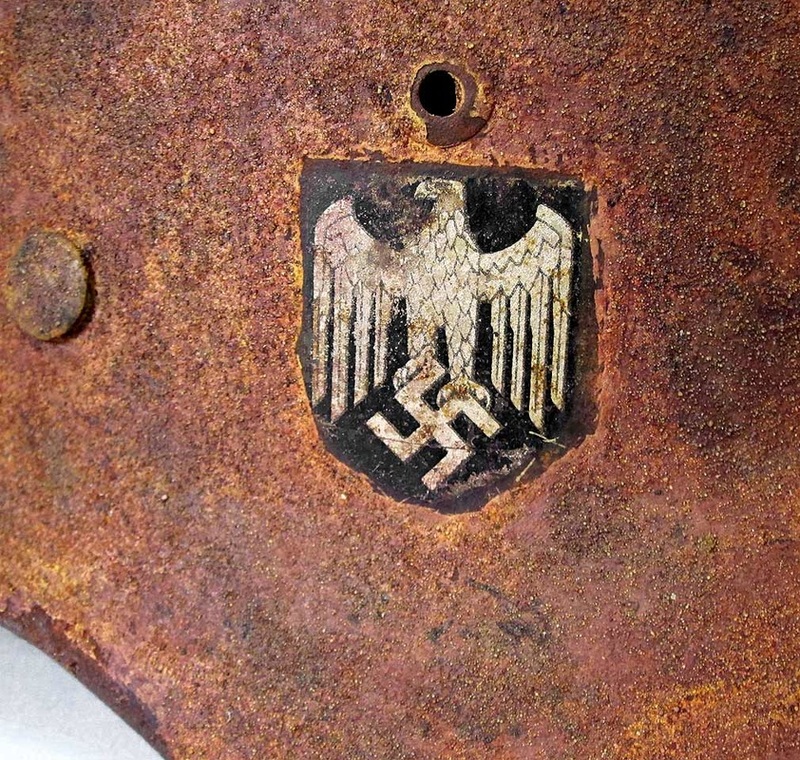 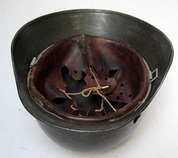 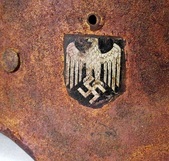 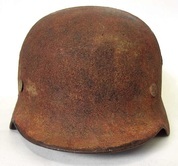 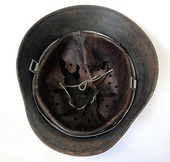 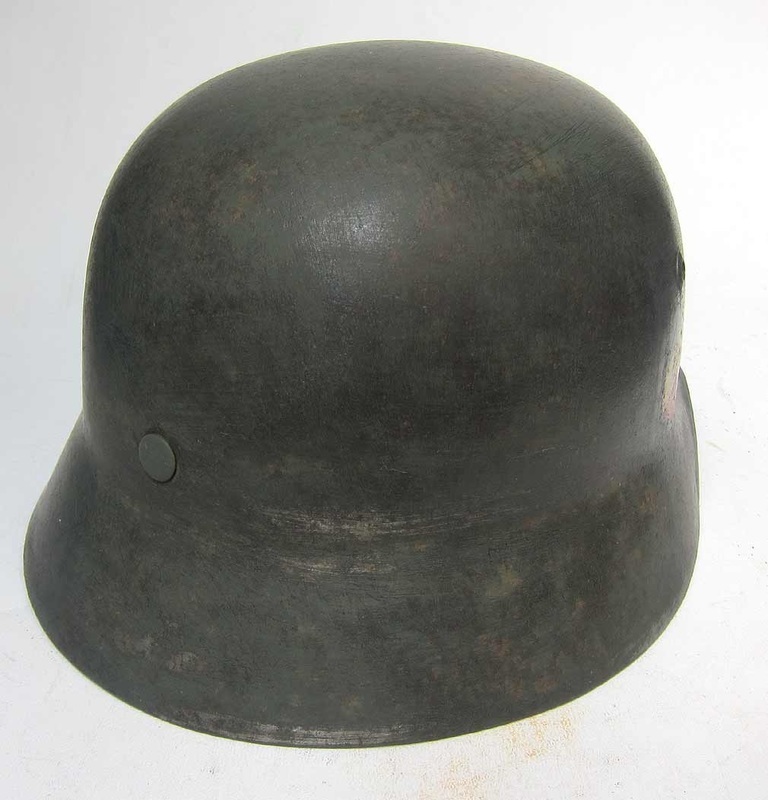 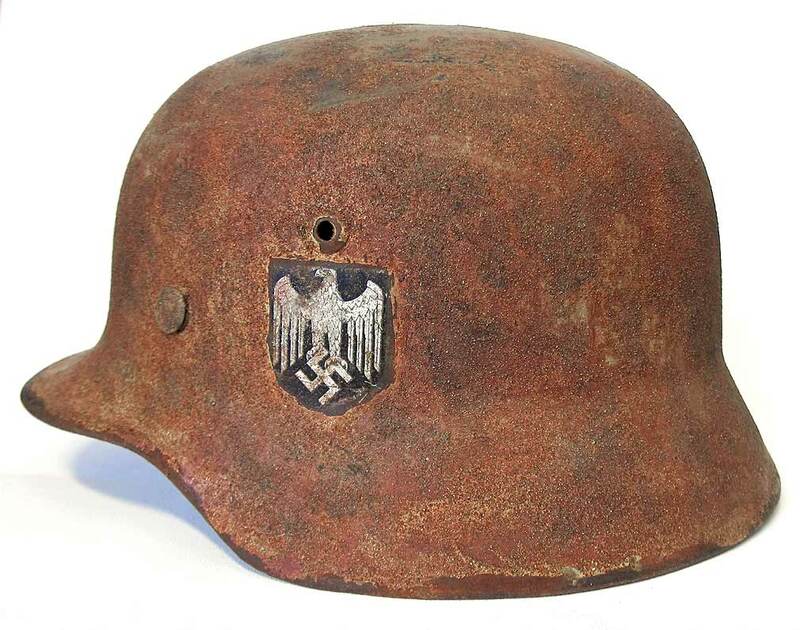 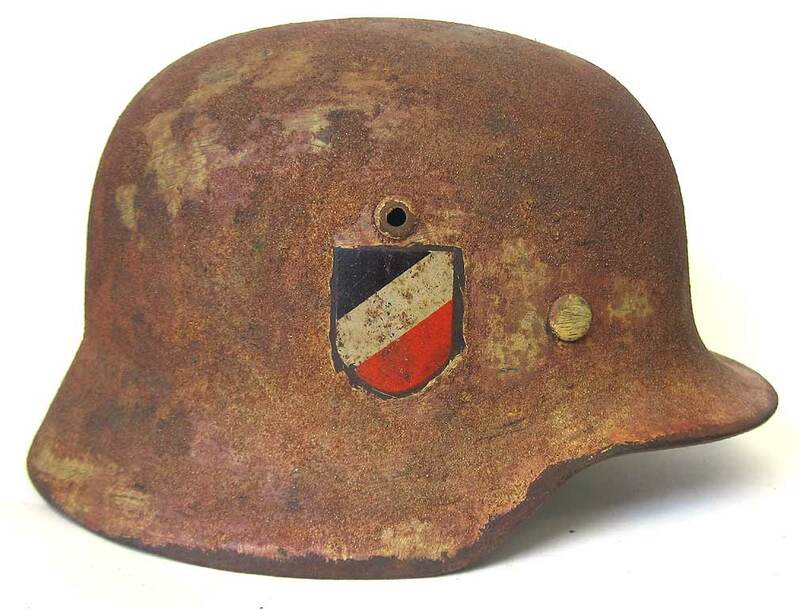 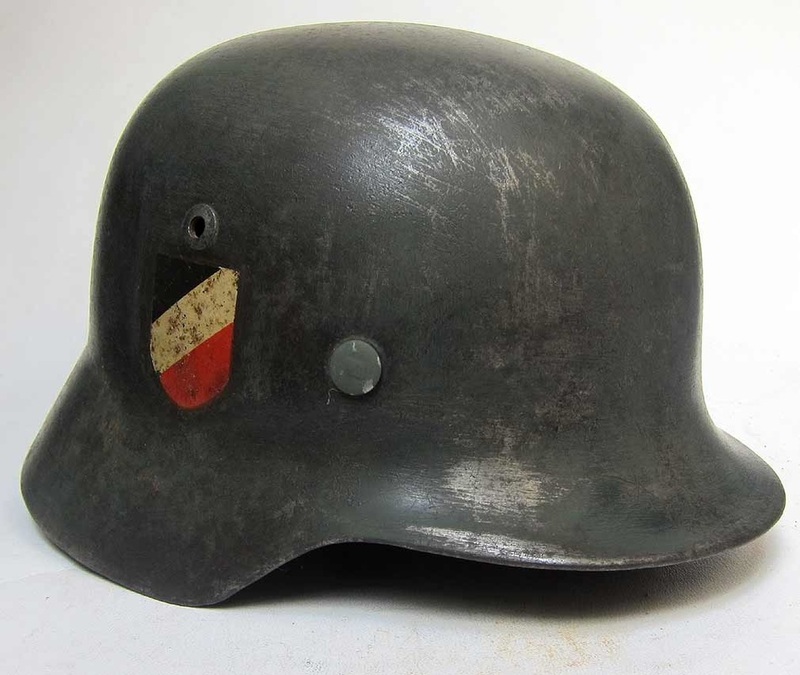 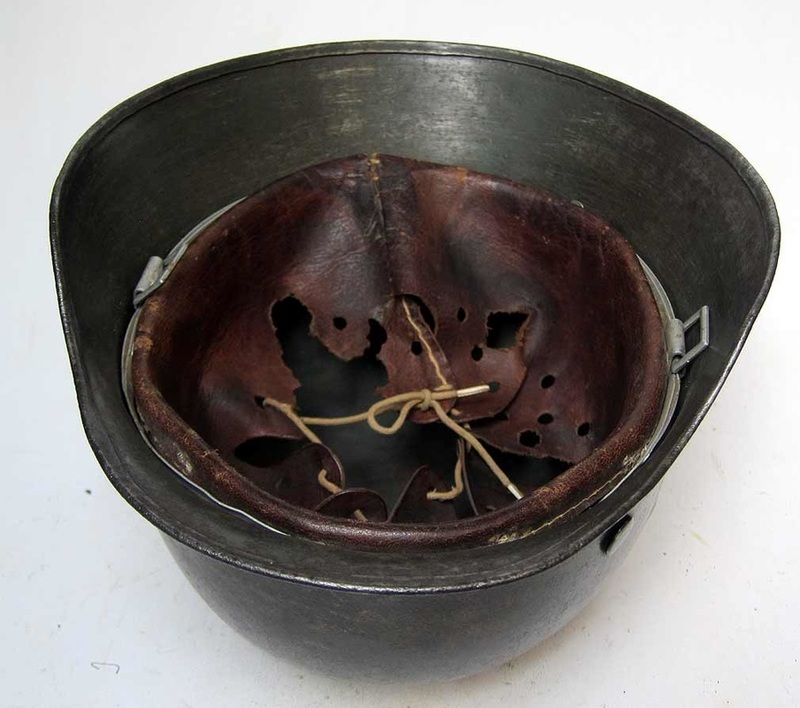 We always say 'do not touch original helmets' but in this case we consider it to have been 'badly' restored as it is obvious to most collectors that it has been badly interfered with post WW2. 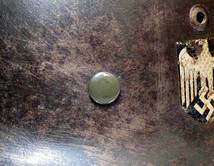 We agreed with the customer to leave the inside, in order to reduce the possibility of it being passed as an original when refurbished. 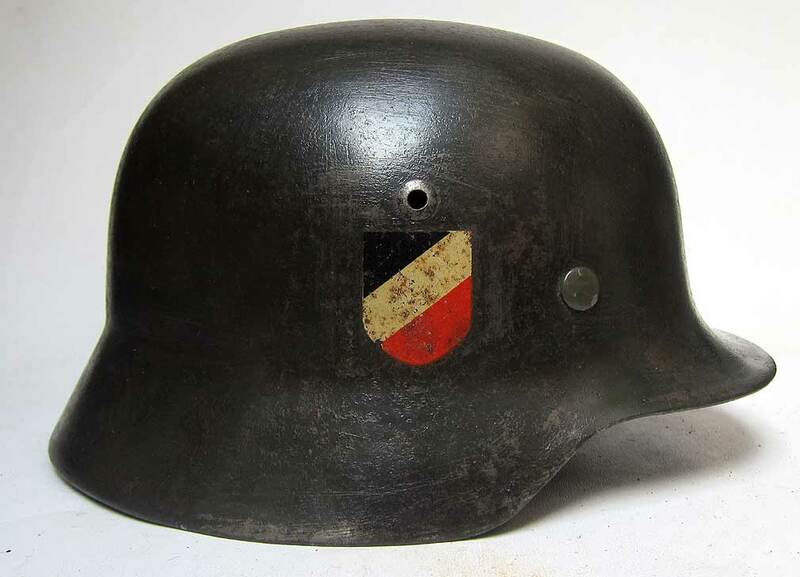 The customer wanted the double decals to be visible and a camouflage scheme over the top to reflect a Italian or southern Russian used helmet. 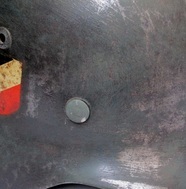 Even the inside has had its top layer of paint removed. 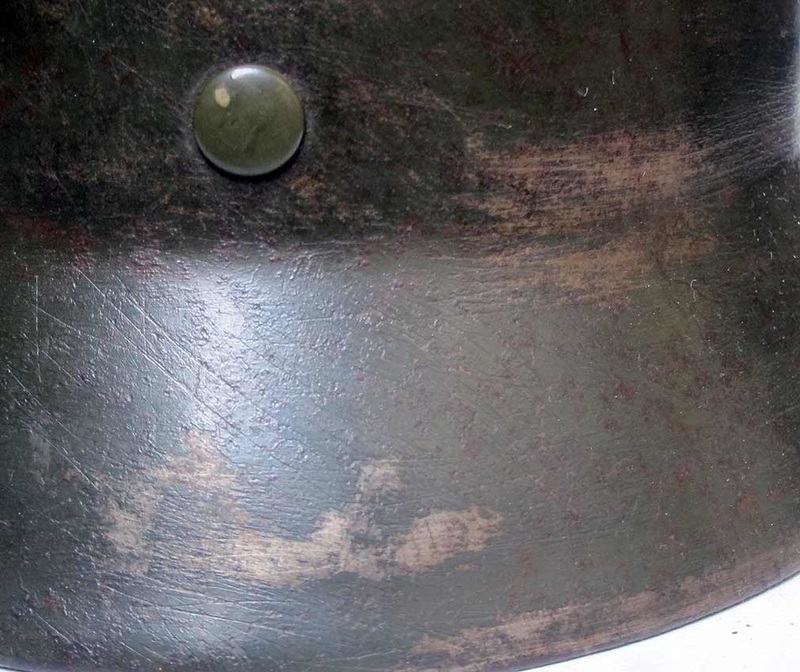 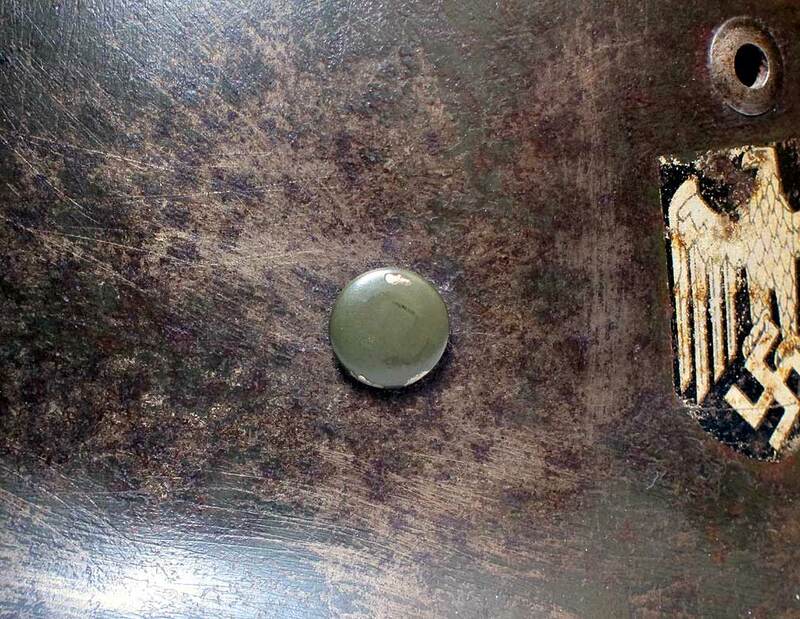 Notice how the helmet has flattened down after the varnish has been removed. 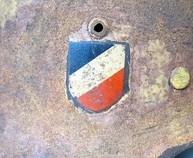 M35 All varnish removed - decals left intact. 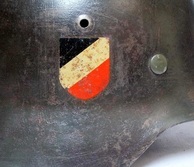 It looks a bit brighter than it does 'in hand' but you get the idea from the pictures. 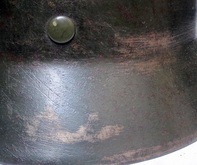 Inside view. 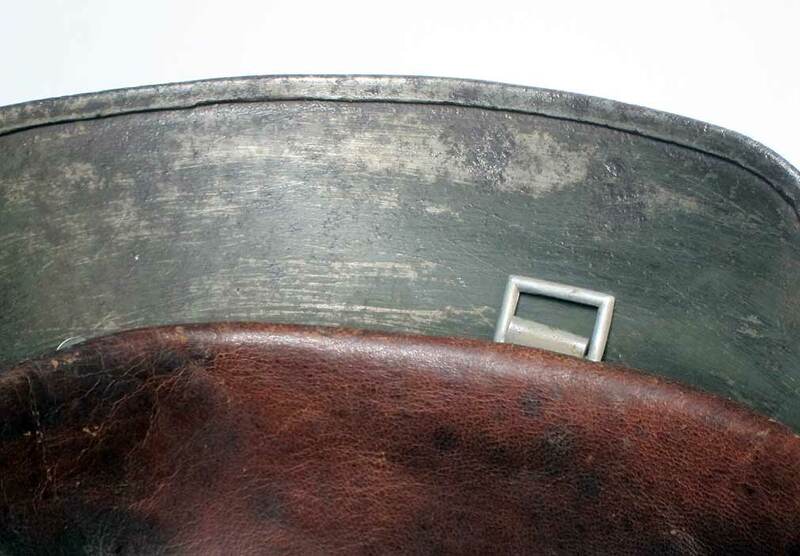 Light rust on the outer 'scrape' marks, no rust on inner marks.